Lancashire and Kent meet at Emirates Old Trafford for an early-season battle of top versus bottom in the second division. The two teams experienced conflicting starts to the County Championship, with Lancashire launching themselves to the top of the table with a 250-run victory against Derbyshire. Kent meanwhile suffered a five-wicket defeat at the hands of Essex in a low-scoring affair at Chelmsford. The hosts are aiming to replicate this victory and ultimately mimic a superior run of form to return to the Division One at the first time of asking, as they did the last time they were in the second-tier. Kent will feel frustrated that they were defeated in their Championship curtain raiser, due to the fact that they managed a slender first innings lead and had Essex 66/4 in their pursuit of 198. In an interview with Ashley Giles this week, the new Head Coach at Lancashire said: “I thought the all-round performance of the team at Derby was extremely good in that there were contributions from a lot of guys, not just a couple. “All the way down they fought when it was difficult, when they had opportunities to make an impact they did and ultimately it was a tricky game because Derby played well,” he added. Giles will be hoping to carry some of the confidence earned from his inaugural match as Head Coach into his first Championship match at Old Trafford, as Lancashire look to extend their lead at the top of the table. Impressive performances from wicketkeeper Alex Davies, who recorded his highest first-class score for Lancashire, and Kyle Jarvis, who claimed 5/13 on the final morning to reduce Derby to 114 all out were pleasing for a Lancashire side very much involved in a transition period after a number of wholesale changes over the winter. Kent’s side has not changed all that much from last year, although there is a sense that Jimmy Adams’s men should be finishing higher than they did in 2014. The acquisition of Joe Denly was welcome news to the Canterbury faithful who were frustrated by the lack of runs and – more to the point – lack of consistency of the more senior players at Kent. The younger players at Kent carry a lot of responsibility than those at other counties and they are, perhaps, a side that could go under the radar this year if they are able to find some form with the bat, although in fairness they were not the only casualty of early-season conditions. Lancashire’s inability to score runs was a big issue last year, but South-African Ashwell Prince remains the one dependable figure in a top order desperate to find form in the second division. The veteran batsman scored centuries in both innings the last time these two teams met in a four-day encounter at Canterbury and his role in their promotion in 2013 proved vital alongside Australian Simon Katich. A return 1,160 runs was by far Lancashire’s biggest return with the bat in 2014 and if the Red Rose are depending on Prince and countryman Alviro Petersen then they will have to make the most of his abilities after he reversed his decision to retire at the end of last season. 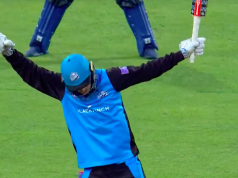 Prince started the season with scores of 21 and 97 against Derbyshire and in both innings he was able to stand strong while so many others came and went. His second-innings partnership with Steven Croft worth 160 runs proved to be the turning point with the visitors struggling on 43/4 at a stage when the game could still have gone either way. A sedate start for Adam Riley did not do his potential as an off-spinner justice in a match which seemed to be dominated by fast bowlers, as it the case at this time of the season. However, Old Trafford wickets tend to offer something for spinners, particularly as the match progresses and the footmarks left by fast bowlers come into play, an aspect which could make Simon Kerrigan one to look out for. Considering Kent’s mediocre mid-table finish, a return of 48 wickets an average of 32.58 was a respectable effort for Riley, who has perhaps received more England speculation than he might have done for his efforts were England not in the midst of a crisis in finding a frontline spinner. 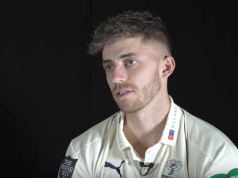 Nevertheless, he remains an exciting prospect and will be looking to simply get some overs under his belt after bowling just the one in the entirety of the first match at Chelmsford. Lancashire have named a 14-man squad following from their win over Derbyshire, with Nathan Buck and Jordan Clark expected to miss out as they did in the first game, whilst Karl Brown’s addition is the only change to the squad. Peter Siddle is likely to enjoy the harder wicket at Old Trafford after a modest return of three wickets on his Lancashire debut. Lancashire team: Tom Smith (captain), Tom Bailey, Nathan Buck, Karl Brown, Jordan Clark, Steven Croft, Alex Davies (wicketkeeper), Paul Horton, Kyle Jarvis, Simon Kerrigan, Alviro Petersen, Ashwell Prince, Luis Reece, Peter Siddle. Fabian Cowdrey is the only omission from the squad after scoring 18 and 0 against Essex in Kent’s opening fixture. As ever, veteran Darren Stevens will be vital with bat and ball, as will former Hampshire all-rounder Matt Coles who made his return to Kent over the winter. Kent team: Rob Key (captain), Joe Denly, Daniel Bell-Drummond, Brendan Nash, Sam Northeast, Darren Stevens, Sam Billings (wicketkeeper), Matt Coles, Mitchell Claydon, Adam Riley, Matt Hunn, Ivan Thomas, Charlie Hartley. The weather becomes typically unpredictable as the match progresses although this fixture is expected to start well with a generally bright and dry first day. When the sun goes behind the clouds it can be uncomfortably cold at Old Trafford although wind should offer assistance to the fast bowlers, particularly in the morning session of each day. Moving into the later stages of the game rain could become a factor but it is not expected to be a permanent fixture at any stage. For a full weather forecast click here.